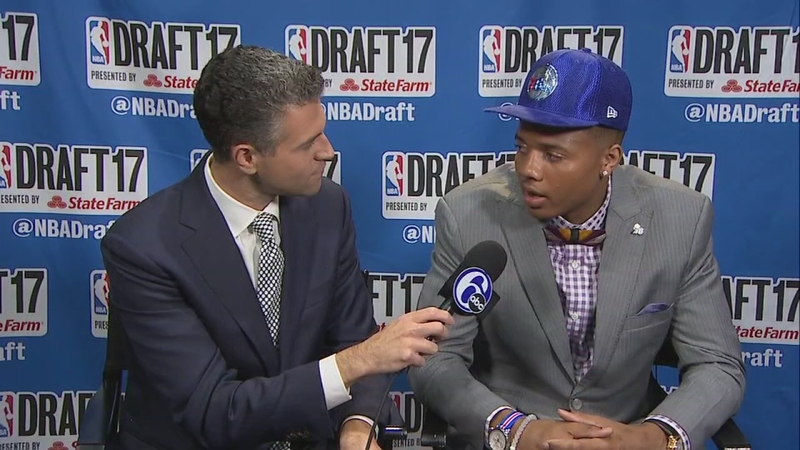 PHILADELPHIA (WPVI) -- Markelle Fultz's first question after finding out he was most likely headed to Philadelphia was, "O.K., cool. Do they have Chick-fil-A there?" The No. 1 overall pick in last week's NBA Draft has a certain fondness for the fast food chain's chicken sandwiches. In his personal essay on The Players Tribune, Fultz wrote, "A crispy chicken sandwich for breakfast. It's kind of like my good luck charm." So he had to find out if Philly had Chick-fil-A. After doing some Googling, the newest 76er discovered there were six in Philly, adding, "Seven if you count the one at the airport." "Boston has zero Chick-fil-As, for what it's worth," he wrote. Action News sports reporter Jeff Skversky goes one-on-one with Philadelphia 76ers No. 1 draft pick Markelle Fultz. 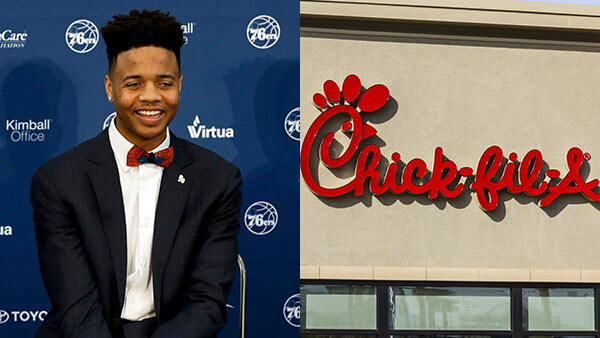 But the news just got better for Fultz, as Chick-fil-A wrote their own response, letting him know there are actually eight locations in Philadelphia. "If getting the top spot in the draft and signing major endorsement deals isn't enough to celebrate, we've got even more good news. Markelle Fultz, there are actually eight locations around Philadelphia," Chick-fil-A's Katie Joiner wrote. "We're excited to serve you in Philadelphia before the first time you suit up to play," Joiner wrote. Fultz already got his first taste of a Philadelphia Chick-fil-A sandwich when he showed up at the Sixers training facility in Camden. "They'd ordered Chick-fil-A. It was there waiting for me on a table. For real. A bunch of sandwiches. I don't know how they knew, but they knew. And I know it's not a big deal, but a little part of me was thinking, Respect. They did their research," Fultz wrote.